Thanksgiving is just around the corner and this upcoming holiday means different things to most of us. However, one thing’s for certain though, people usually bite their nails, overthinking what should they prepare for the feast. 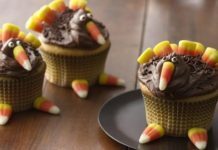 If you discount the turkey, the selecting from the wide selection of food that can be prepared for Thanksgiving can really be exhausting especially if you do not want to serve the same menu just like last year’s. That being said, today’s article is somehow designed to ease everyone a little bit on their preparations as we scoured the internet for help. 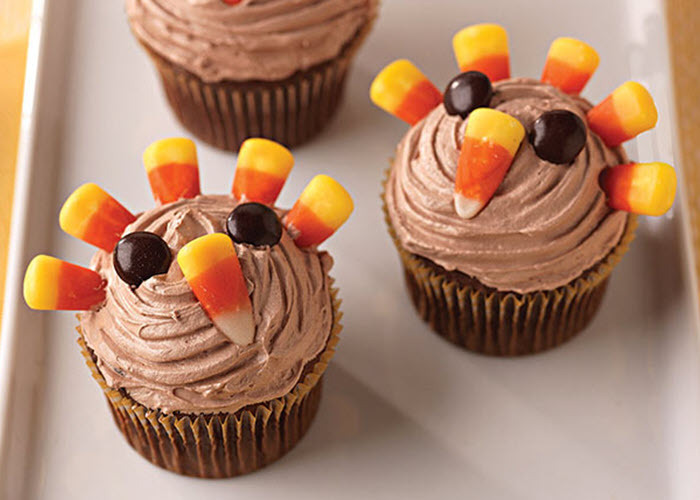 Below feature 5 easiest recipes for a cupcake that are meant for the feast of Thanksgiving. 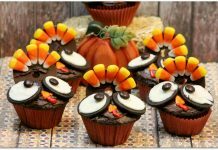 Everyone can expect that the design theme for these scrumptious goodies will play around turkeys, pies, and pumpkins. 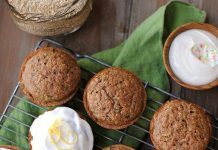 Rest assured, these selected recipes are sure-fire hits not just for the kids but also to all young at hearts. 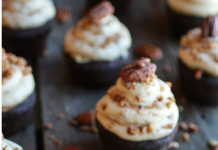 Follow the recipe carefully and create your own cupcake masterpieces for the holiday. May it nourish everyone on your family and may it bring joy together with the spirit of the holidays. Bake the medium-size sweet potatoes for an hour. Let the baked potatoes cool at room temperature. Once cooled, peel off the skin and mash. Preheat oven to 350. 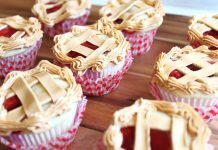 Use paper liners for the cupcake pan. Pour the oil and eggs in a bowl. 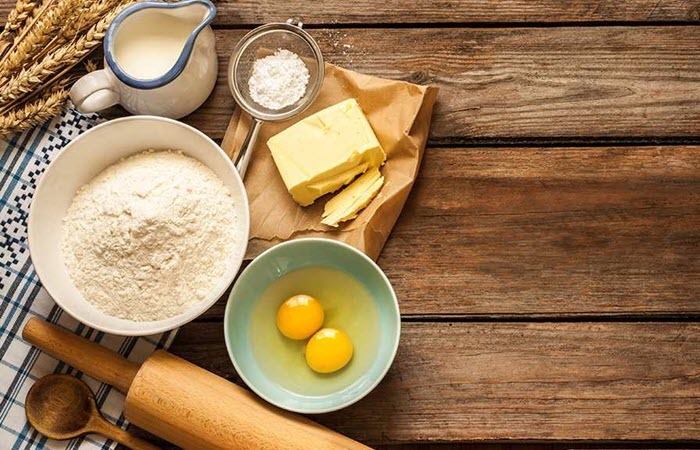 Set your electric mixer on a medium speed and beat together until well combined and thickened. Add and beat all the cupcakes’ dry ingredients excluding the flour. Consecutively, add the puree and beat again to mix. Set your electric mixer to low speed and slowly add the flour. Stir the batter and don’t overmix. Fill the cups of the cupcake pan with 3/4 full of the batter. Place the cupcake pan to the oven and bake for 20 minutes at 350. Remove to wire racks, and let the cupcakes cool completely before adding the frosting. Using the electric mixer, beat together the marshmallow and margarine until smooth. Add the rest of the frosting ingredients and beat to combine. Place the frosting on top of the cupcakes using a large star tip pipe. Prepare the cake batter as directed on the package. You can make 24 cupcakes out of it. 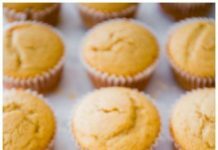 After baking for a couple of minutes, remove the cupcake pans to wire racks and let the cupcakes cool completely. In a large bowl, whisk together pudding mix, milk and sugar for 2 minutes. Spoon the pudding concoction into a round-tipped pastry bag. Refrigerate pudding for a few minutes while preparing the cupcakes. Cut a cone-shaped piece for each cupcakes using a small sharp pastry knife. 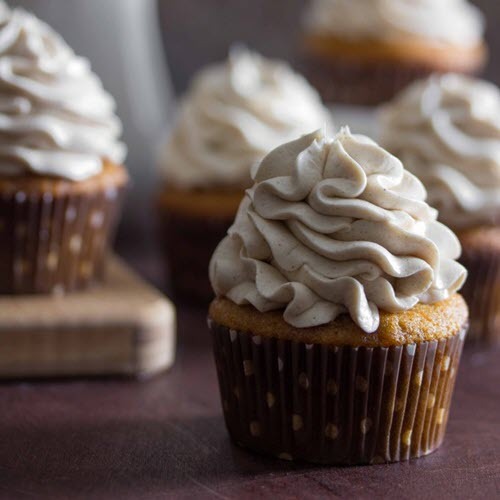 Fill cupcakes with 1 tbsp of pudding mix. Replace cupcake tops once filled. In a medium bowl, whisk together thawed COOL WHIP and chocolate frosting. Spoon the blended frosting to each cupcake, and decorate with topper ingredients (as shown in the photo). Line the 12-cup cupcake/muffin pan with paper liners. In a medium bowl, mix together flour, salt, baking soda, baking powder, and pumpkin spice. In a separate bowl, whisk together vanilla, molasses, and pumpkin. Set the electric mixer on medium speed and beat sugar and butter in a large bowl. Beat for 3 minutes, until the mixture becomes light and fluffy. Subsequently, slowly add the pumpkin and flour mixture alternately. Beat until combined. Divide batter into the cupcake pan with 1/4 cup each. Bake for 25 to 30 minutes. Remove to the wire rack and let it cool completely. Using the electric mixer, beat together butter and cream cheese until light and fluffy. Slowly add the vanilla and sugar. 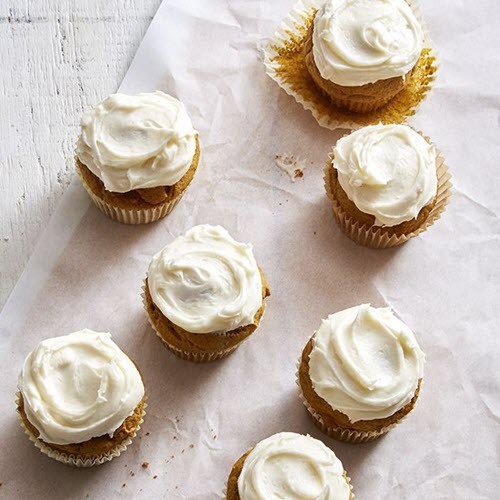 Spoon the cream cheese frosting to each cupcake. Prepare the cake mix according to the package directions. Add the cinnamon and beat until combined. Fill the cupcake pan with 1/3 batter. 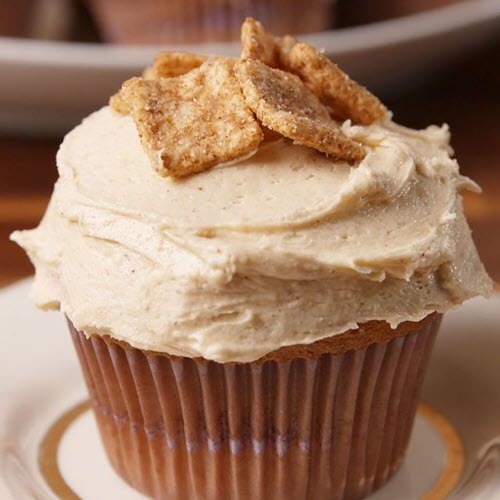 Divide and sprinkle the cinnamon-sugar on top of each cupcake batter and put a bit of cereal on top. Gradually add more batter to layer the cereal. Remove to wire rack and let it cool completely. In a large bowl, using a hand mixer, beat together the butter, sugar, salt, cinnamon and vanilla until light and fluffy. Then slowly add the heavy cream (one tablespoon at a time) until frosting becomes creamy. Frost the cooled cupcakes using a spatula. Garnish with Cinnamon Toast Crunch (optional). In a stand mixer’s bowl, beat together sugar and butter. Gradually add the vanilla and eggs, beat until well combined. Slowly add the flour mixture and the apple cider alternately to the butter mixture. Beat until combined. Fill the cupcake pan with 2/3 full of batter. Bake at 350 for about 17 to 19 minutes. Using a mixer, cream together brown sugar, butter, vanilla, and cinnamon until light and fluffy. Slowly add the powdered sugar and beat until well combined. Add the milk afterward. For thinner frosting, you can add more milk if desired. 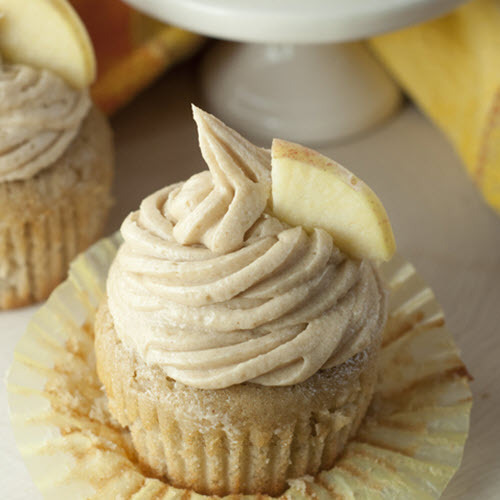 Spoon frosting to cupcakes and garnish with fresh apple slices.